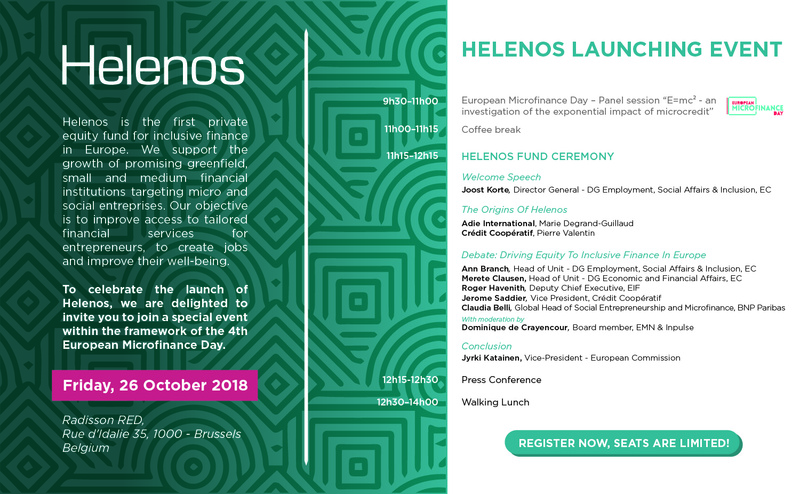 To celebrate the launch of Helenos, Inpulse is delighted to invite you to join a special event within the framework of the European Microfinance Day 2018. The event will be held on October 26 at Radisson RED Hotel, Rue d’Idalie 35, Brussels. For more information and registration please see the annexed program. CoopEst supports the microfinance networks in Europe through sponsoring EMN Annual Conference in Warsaw and MFC Annual conference in Tirana!